e-Campaign mailing list software supports plain-text mailing lists delimited by commas, tabs, or semicolons. 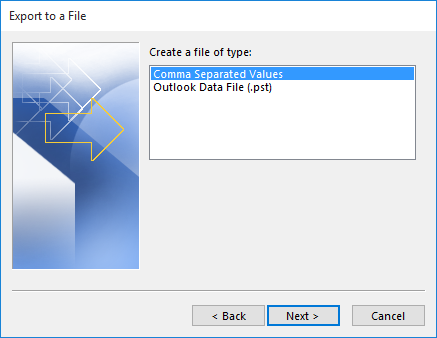 To use a Microsoft Access or Excel file (*.xls), you need to first create a "Database Connection". 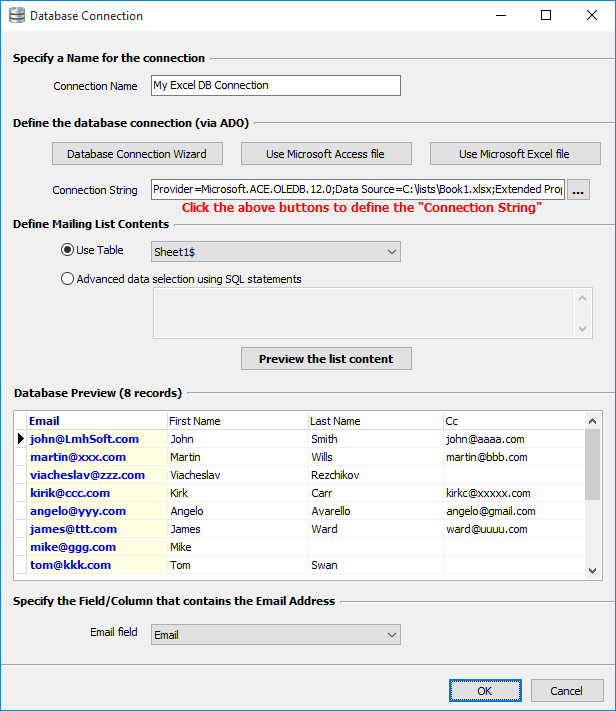 Step 1: Create a database connection so that e-Campaign can connect to Access databases/Excel spreadsheets. Click the "Database" toolbar icon to proceed. On the "Database Connection" window, click the "Use MS Access/Excel File" button to specify a Excel file. Press F1 for more detailed explanation on database connections. 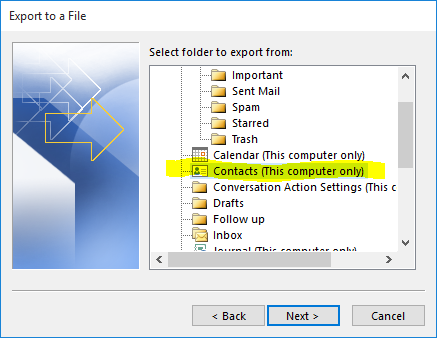 In Outlook 2010 or older, click menu File -> Import and Export..., select the option "Export to a file". 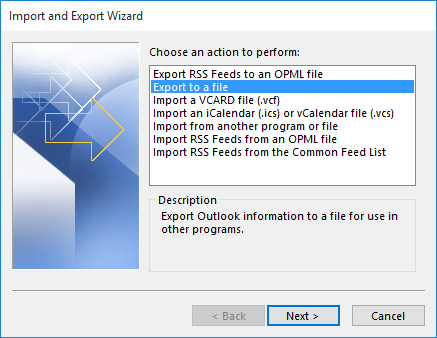 In Outlook 2013 or newer, click at the "File" tab, click at "Open & Export", then click at "Import/Export".